Our range of products include hexagonal wire mesh and fence decoration. With sincere intentions to preserve and uplift our reputation in the market, we are offering Hexagonal Wire Mesh. The offered wire mesh is manufactured using elevated quality material like low carbon steel wire, stainless steel wire, in fulfillment with the industry standards. Offered wire mesh is tested on various parameters of quality for delivering a flawless range. 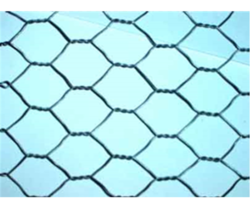 This wire mesh is used for fencing for poultry cage fish garden. Fencing is used for decorative purposes. its modified version reinforced with cement concrete and steel rod to increase the strength. its biggest advantages are that it has rounded edges, all plastic fasteners and no metal parts. it does not requires painting, polishing, and have long life and maintenance free. it is fire retardant. it's installation is based on the do it yourself concept. Looking for Hexagonal Wire Mesh ?